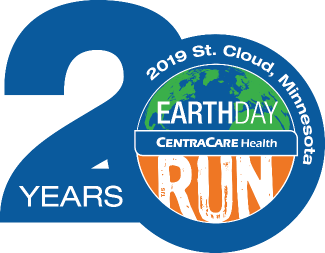 The CentraCare Earth Day Run, April 19-20, consists of a 5k, 1k, 1/2 marathon race, and a health and fitness expo. Volunteers will be needed Thursday April 18-Saturday April 20 in a multitude of different areas and shifts to make this event a success. My 18 yr old daughter may be joining me. Wondering if my daughter who is 13 can also help? We will have to leave at 1:00. If that is a problem, we would be happy to step aside and let someone else fill our spots. I will sign up two people. What is the job description? I am bringing a total of 7 more with me. Check in with Volunteer Coordinator in Board Room C of River's Edge Convention Center, will operate out of 505 W St. Germain St.